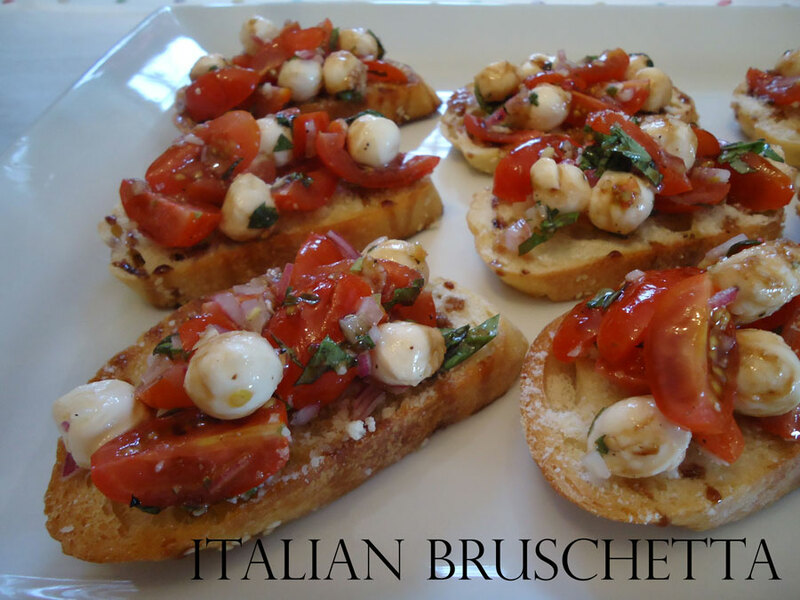 In a medium sized bowl, combine tomatoes, red onion, garlic, basil, olive oil, vinegar and mozzarella cheese. Season to taste with salt and pepper. Place sliced baguette on a rimmed baking sheet and drizzle with 3 T olive oil. Bake at 350 degrees for 12-14 minutes or until light golden brown on the bottom of the baguette slices. Remove from oven and immediately sprinkle with parmesan cheese. Divide tomato mixture among slices and drizzle with balsamic syrup.